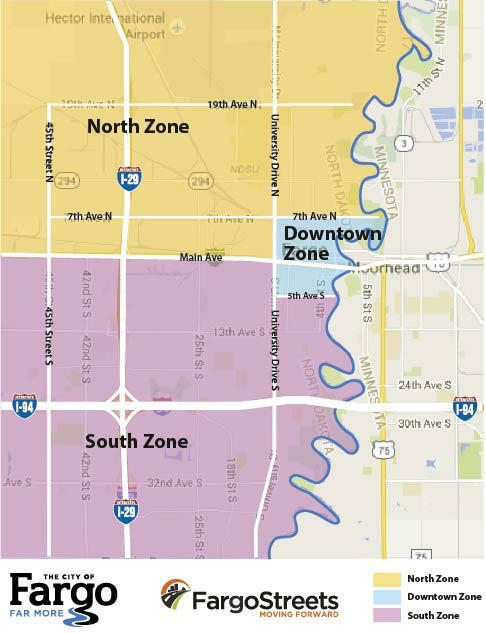 Zone: Downtown, SouthWhat zone am I? All residential blocks on 4th Street South between 2nd Street South to 13th Avenue South are open to traffic. 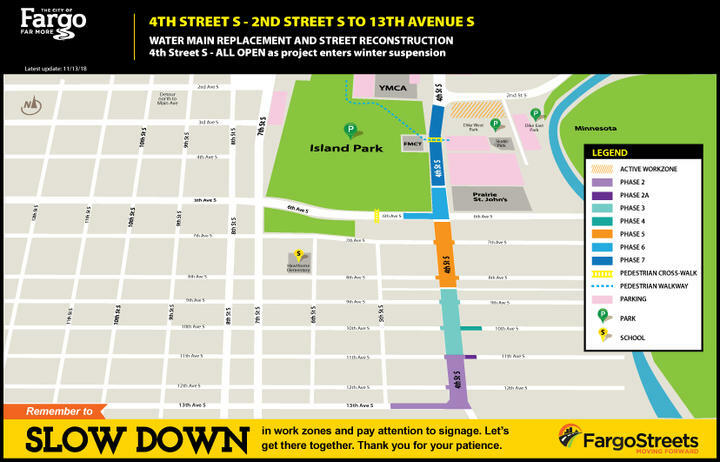 All intersections have been restored to two driving lanes from a single driving lane and driveways are accessible from 4th Street South throughout the entire project area. This project is part of the City’s annual infrastructure improvement efforts. 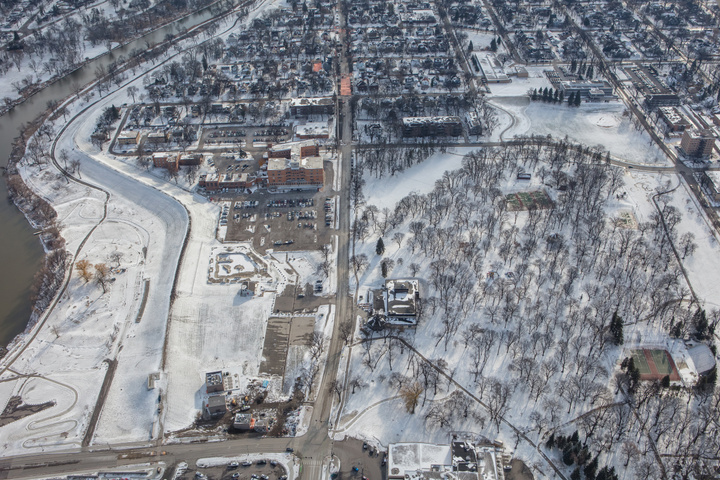 The purpose of this project is to upgrade portions of the City’s infrastructure in this area including water main, sanitary sewer, storm sewer, paving, bike lanes, street lighting and the traffic signals located at the intersection of 4th Street South and 8th Avenue South. In addition, the roadway on 4th Street South is being reconfigured to accommodate bicycle lanes along the curbs. The older of the 4th Street water main was installed in 1921 with the remainder in 1938. The pavement from 9th Avenue to the south is 64 years old and the pavement north of 9th Avenue is 37 years old. This project is installing needed upgrades and tie-ins to the City’s infrastructure and will correct deficiencies on the streets that have appeared over time. The finished product will provide better water and sewer distribution, a better constructed roadway, and improved roadway lighting. 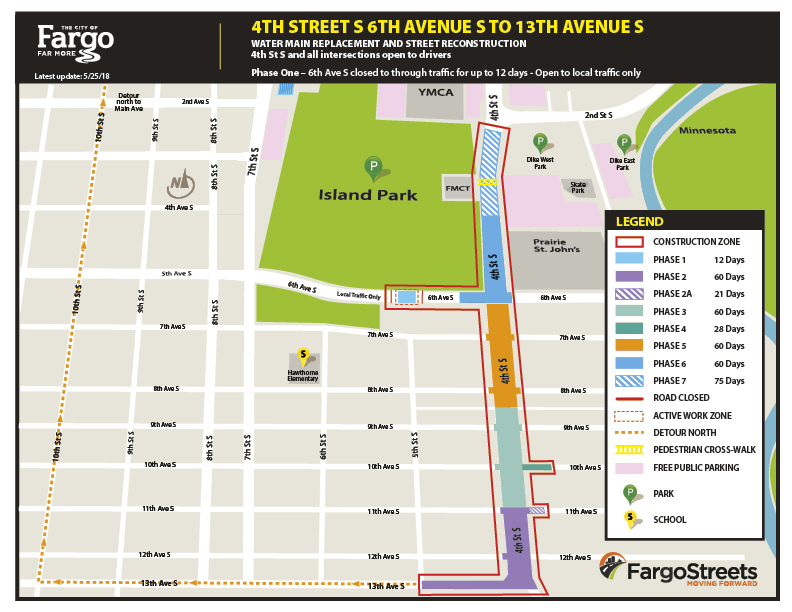 A northbound detour route was in place from west on 5th Street to North on 10th Street to Main Avenue. Construction began the week of May 21, 2018. Project work has entered winter suspension and is slated to begin again in the spring.